With the announcement of the recommendations for reduction of GST Rates on various plastics items with effect November 15, 2017 by the GST council in its meeting dated 10th November at Guwahati , The Common Man and the Poorest of Poor can heave a sign of relief. 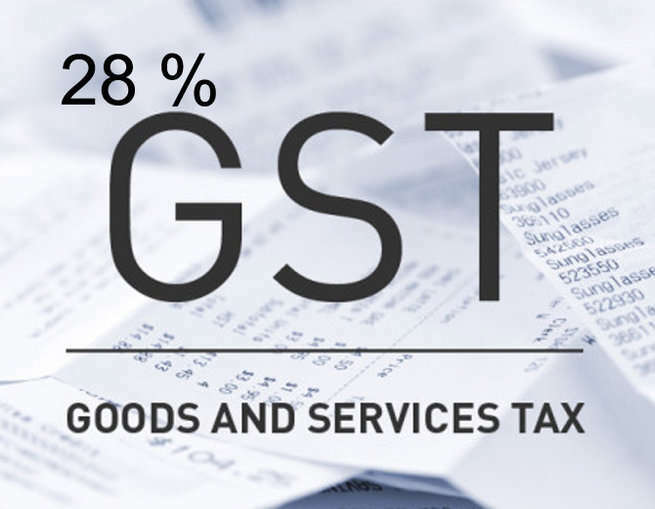 Especially so, when GST on Plastics items of their use like plastics floorings, plastic fabric, plastics furniture ,plastic flask ,plastics sanitary and bath fittings and all miscellaneous plastics products (not specified elsewhere) will be reduced from 28% to 18%..
K .K . Seksaria , President , Plastindia Foundation stated that , the Plastindia Foundation and the entire Indian Plastic Industry welcomes this initiative by the GST Council and expresses its sincere gratitude to the GST Council , Union Finance Ministry, Department of Chemicals and Petrochemicals, Ministry of Chemicals and Fertilisers and all the State Governments for removing the anomaly of high GST rates on plastics items of common man’s use. This fair , reformist and common man friendly initiative will go a long way in bringing more transparency, best business practices and help not only plastics industry in general and but more particularly the SME’s and MSME’s units who were hit badly by high GST rates on plastics items. It will encourage plastics industry to come forth and be part of a cleaner economic system and contribute to the inclusive growth in the country by making available plastics items of mass consumption to common man at affordable prices. Mr. Seksaria further stated that Plastindia Foundation has taken up consistently and forcefully the issue of anomaly of high GST rates on plastics items of common man’s use and its impact on thousands of MSME units. To press forward the case of relaxation of tax burden on the Indian Plastic Industry several initiatives including a Press Meet to create public awareness on the high 28 % GST on Plastic goods was held on 1st June‘ 17 . It was followed by regular representations to the Prime Minister’s office , GST council , Ministry of Finance, DCPC , CBDT , various other relevant ministries of central and state governments ,including a meeting with the Hon. Finance Minister, Shri Arun Jaitley on 24th June by Shri K K Seksaria- President, Plastindia Foundation along with other industrialists from Plastic Industries and regular meetings with various State Finance Ministries, meetings with Shri Amit Shah, President , BJP , Shri Mukhtar Abbas Naqvi, , Shri Amit Mitra , FM , West Bengal and various other senior ministers and officials of central and state governments . All were very receptive and we got response that our justified and fair demand is likely to be met in due course . these efforts have finally borne fruit with the reduction of GST on all remaining plastics items in high GST rate bracket of 28 % to 18 %. Mr Rajiv Raval Vice President, Mr Raju Desai Treasurer and all Members of Managing Committee of Plastindia Foundation expressed their happiness over this decision of the Government. Plastindia Foundation is also thankful to its Founder Members and Associate Members for their valuable inputs to supplement and complement its efforts in this connection. Our effort to Bring Progress to India through Plastics continues and we will always continue to champion the cause of fair GST rate on plastics items with the Government along with other GST related issues of the industry . Our aim is to make Plastics a suitable, cost effective and sustainable solution for all common man’s needs and we will continue to make progress on the same through various industry initiatives. PLASTINDIA FOUNDATION, is the apex body of various PLASTIC Associations, Institutions, Organisations spread across India and represents the cause of growth of Indian Plastics and maintaining the positive image of Plastics by supporting various industry growth initiatives in both India and abroad. PLASTINDIA FOUNDATION is a not for profit organisation and its members are plastics industry representatives who voluntarily contribute towards various intiatives for the betterment of the Indian Plastics Industry in the service of the nation and its citizens.